Everyone’s heard of this one – candy bar fundraisers are perhaps the most common and most popular way to fundraise. 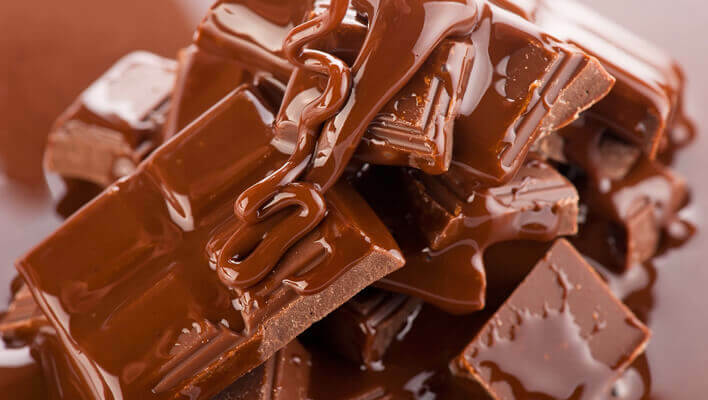 This is because everyone loves chocolate – in fact, Americans consume 3.4 billion pounds of chocolate annually! These fundraisers are extremely easy to organize as well, and you can make a fair profit for your organization. Candy bar fundraisers are popular with schools, and everyone’s seen the high school kids going door-to-door with cases full of chocolate for the football team. The best part is, candy bars have an inexpensive price, so many people will be happy to shell out two dollars for a delicious piece of chocolate (and for a good cause). This is especially true if the participants in the fundraiser are kids. JustFundraising.com offers a variety of candy bar fundraisers, including two selling prices – $1 bars and $2 bars, and different brands, from the popular Hershey’s to Van Wyk Confections, the new-comer known for its’ fine premium milk chocolate. First of all, you’ll need to choose a candy bar company to provide your group with candy to sell. There are several good companies that you can choose from, but make sure you do your research so that you can find the perfect fit for your group. Candy bar fundraisers typically take the form of an on-hand fundraiser, which means that you order the product upfront and they ship it to you, and then you sell it to your customers. Some companies will allow you to order the product on credit and then pay them out of your proceeds. However, with others, you may have to pay the cost of the candy upfront. Also check out the cost of shipping, because that can eat into your profits or require overhead costs. Secondly, once you’ve chosen a company, you need to choose your candy. Some companies will carry brand-name candy to sell; others will offer their own house candy. There are pros and cons to the latter. On one hand, it can be cheaper and many companies allow you to put information about your organization on the label; on the other hand, the chocolate may taste a bit inferior compared to brand-name bars, which can decrease sales. Most candy comes in a carrying case that you can give to each participant to make door-to-door sales a little bit easier. Before you start to sell, you need to decide how many candy bars each participant will have to sell. Set a fundraising goal and decide how many candy bars it will take to reach it. If you can, you may want to provide an incentive to get your participants more motivated about selling. Make sure that your participants are given a number of cases to sell and a date to sell them by. Also include an envelope for them to put money into. Send a letter home, if your participants are younger children, and tell them about this fundraiser so that there’s no chance of lost money or inventory. This type of fundraiser has the potential to earn 50% to 200% profit. You can earn more if you have the ability to set your own prices, which some companies will allow you to do. However, if you price the candy bars too high, your sales may go down. If the prices are already set, check with the company as to how much you’ll make in profits. Candy bar fundraisers are good money makers, and the best thing is, they can be done at any time of the year. Beware of melting chocolate in the summer, though! Candy bar fundraisers have pros and cons, but the good thing is, there are more pros than cons. Chocolate is consumed by almost everyone and is very popular, and because of this, you can host multiple fundraisers in the same year and probably do quite well. You can also sell candy bars almost anywhere, since they’re really portable. However, if you’re going to have schoolchildren go door-to-door, make sure you put safety measures into place, like chaperoning. If your local grocery stores and malls will let you, you can also sell candy bars on tables outside of these venues and maybe get sales from the community. However, candy bar fundraising does have its disadvantages. For one, you’ve got to be careful where you store the bars, because chocolate melts in hot weather. As well, if you’re dealing with younger participants, they’ll probably need help tracking (and not sampling!) their inventory. You will also need to keep careful track of who has what so that you won’t end up losing inventory and having to take a financial loss. Motivating people to sell can be hard – door-to-door selling is rough going sometimes. However, incentives do the trick, especially for younger participants. Candy bar fundraisers are popular for a reason – they’re easy to put on and the profits that they bring in are almost as sweet as the chocolate itself.